When a person thinks of fish for an aquarium, they will generally have two main types to choose from these being salt water fish and fresh water fish. However, many people do not even understand the differences that these two fish have from one another. Though, they are certainly not just the name of the fish. The differences between these salt water fish and fresh water fish can be stated as the origin of the fish, the way that their bodies utilize water and their ability to survive in captivity. Salt water fish are those fish that are found in the ocean. They are not able to survive in fresh water because their bodies cannot handle having no salt in the water. On the other hand, fresh water fish are found in ponds, rivers, lakes and basically every other type of fresh water that is out there. These fish if placed in salt water are not going to be able to survive. The reason that salt water fish and fresh water fish can only survive in their respective water has to deal with the way that their bodies work. Salt water fish have salt inside their bodies, thus they need the salt water to survive in order to replenish these salts that are constantly conditioning their bodies. Fresh water fish on the other hand have salt inside them too, however, these salts are maintained within their own bodies. They do not need salt water in order to maintain this and if placed in this salt water they will have too much salt in their bodies and die. For those who are considering setting up their own aquarium, they should be aware that it does take a lot more effort to ensure that the salt water fish survive. For those who are looking for a durable and easy to care for fish, then they are going to want to consider fresh water fish. The reason that salt water fish are so much more difficult to care for and become delicate once they are in captivity has to do with getting water that is salty enough to make sure that they healthy. Many times, the fish caregiver is going to find that they have a hard time keeping these fish alive. On the other hand, fresh water fish just need to be placed in water that is from the tap and is of a comfortable temperature. Salt water fish are only found in the ocean. Fresh water fish are found in lakes, ponds and streams, wherever there is fresh water. 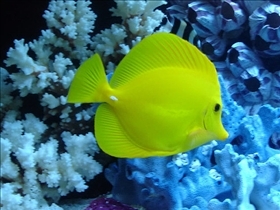 Salt water fish must have ocean type salinity in their water order to maintain life since they need the salt levels in their bodies constantly replenished. Fresh water fish have salt in their bodies, however, they regulate this on their own. 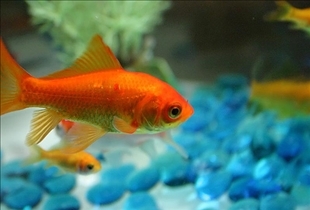 Fresh water fish are much more durable when it comes to captivity since they are easier to care for and easier to move. Salt water fish are a bit more delicate and require that the water have the perfect salt balance in order to thrive.